Dietfurt/Töging, 22 July 2016 – automation, digitalisation, industry 4.0 – these catchphrases are on everyone’s lips and make a splash over the media landscape. 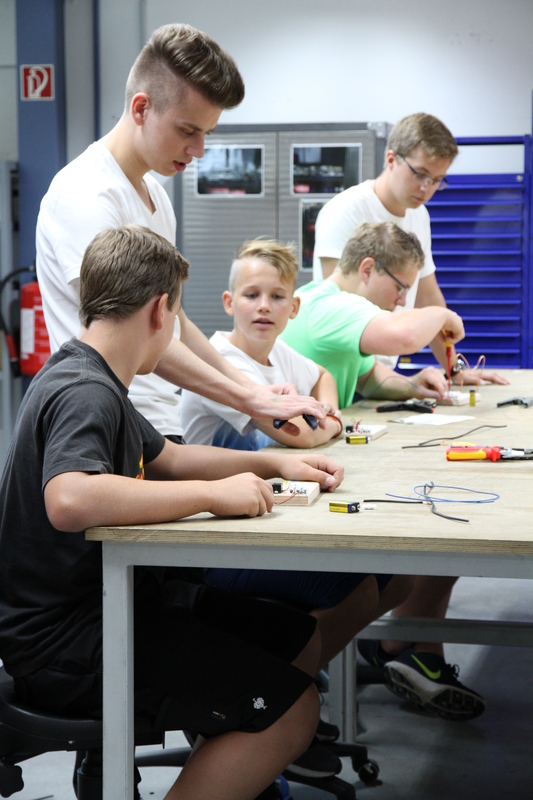 School-leavers who are interested in these topics are able to take a look at the basics at SPANGLER GmbH in Töging. On 30 July 2016, with the Azubi-Info-Tag (Trainee-Info-Day) the automation specialist gives insight into the world of practical work of business and industrial jobs, as well as dual degree programs. From 9am to 12pm, lectures about the individual occupational profiles are scheduled, at information stands trainees present skills from working life and are ready to answer any questions together with their trainers. 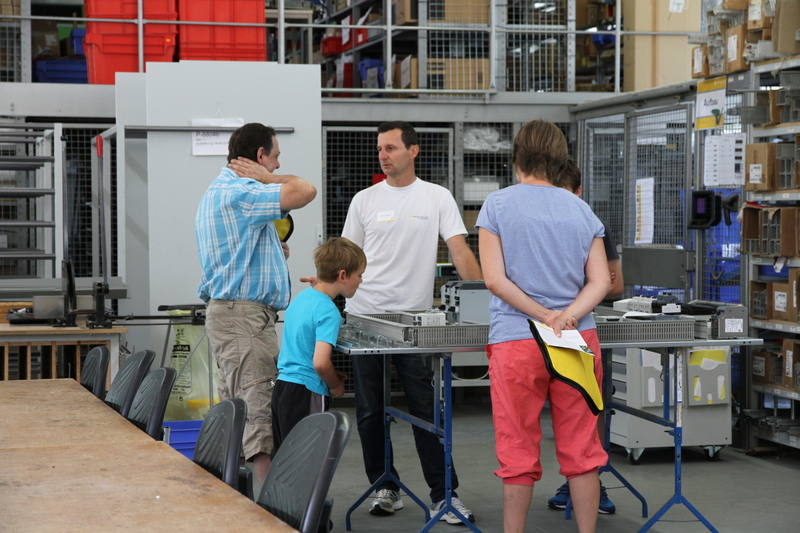 With a tour through the company visitors can get an overview of the capability of the family owned company of the Altmühltal. With the business jobs, SPANGLER offers an apprenticeship as Office Clerk (m/f) with or without an apprenticeship as Foreign Language Correspondence Clerk in English. 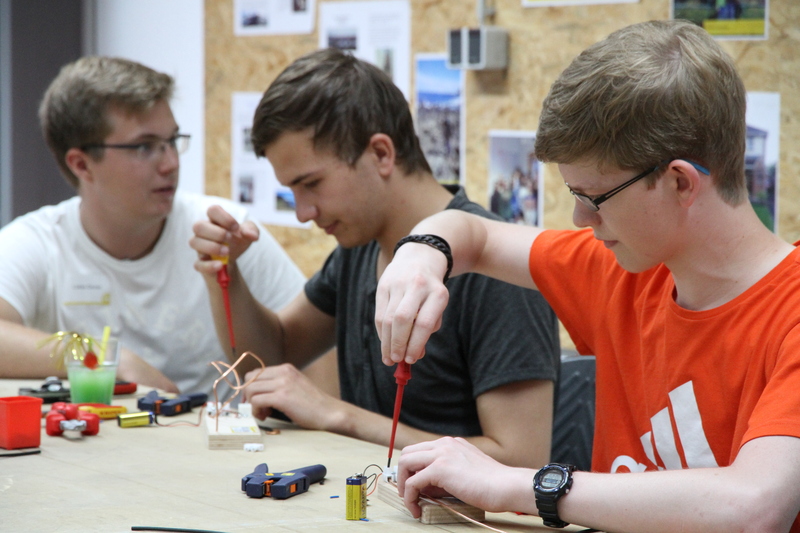 With the industrial jobs, the choice is between Electrician for Energy and Building Technology (m/f) and Electrician for Automation Engineering (m/f) and with the dual degree programs, there are two subjects: Electrical engineering and information technology or business administration. Any trainee is given the opportunity to do a four week lasting internship in Ireland as a part of the training scope. “A high degree of training quality is a tradition for us as our company lives from the know-how of its employees”, says training supervisor Teresa Wittmann, describing the value of the commitment. Currently, the company trains 22 trainees and two dual students. Generally a qualified graduation is not only followed by a safe workplace, but also promises a lot of future possibilities – from internal further training over master craftsmen training with associated management qualifications to studies. Theresa Wittmann enhances: “A good training is still the best base for a secure existence, especially in the sector of electrical engineering and electronics”. Here, the lived-out sustainability of a successful family business is made clear, which does not only focus on performance in this case. Cornelia Hofmann, member of the Board of Management and responsible for the human resource management, says: “We maintain a familiar atmosphere, care about the personal development of our trainees and open them an enormous range of tasks”. The SPANGLER FITNESS PROGRAM, which supports sport activities for all employees and focuses on health and common aspects as well as personal reward, stands symbolically for social attitude of the Board of Management. Visitors of the Azubi-Info-Tag (Trainee-Info-Day) benefit from this care and are able to quench their thirst with alcohol-free drinks at the Fitness Cocktail Bar. After answering some questions about the company and its jobs correctly you are allowed to turn the wheel of fortune and take part in a competition: The prize will be a voucher for a tour in the climbing park of the Altmühltaler Abenteuerpark (Altmühltaler Adventure Park). The medium-sized family business based in Töging in the Altmühltal is employing about 130 people at present und has been a reliable partner of the international machines constructions and plant engineerings. More than 50 % of the plants manufactured by SPANGLER will be exported. Our automation solutions are in demand worldwide. We will plan, program and produce it for you! Our customers are from different sectors such as the environmental technology, agricultural economics, building-, food-, automobile, raw materials and pharmaceutical industry. Moreover SPANGLER carries out the start up as well as the after-sales-service of the switch and control cabinets.